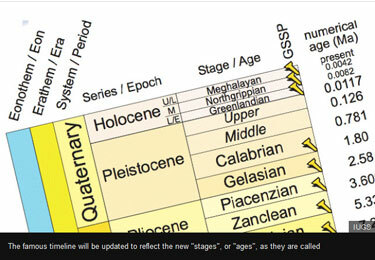 The International Chronostratigraphic Chart, the famous diagram depicting the timeline for Earth’s history (seen on many classroom walls) will be updated. Rattlesnake Ridge is a large hillside located above the I-82 highway to the south of the town of Yakima in Washington State, NW USA. The Google Earth image below shows the location of the site (at 46.524, -120.467), taken in May 2017. The image is looking towards the east – note the large active quarry on the south side of the ridge, and other signs of earlier (and smaller scale) excavation on the slope. 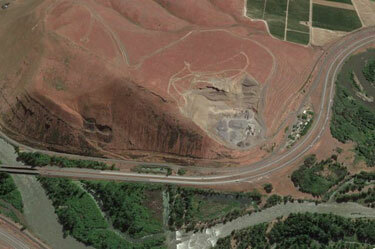 Note also the proximity of the slope to I-82. In October 2017 a major fissure started to develop through Rattlesnake Ridge. Over the last three months this apparent tension crack has widened to encompass a volume of about 3 million cubic metres. Senior Emergency Planner Horace Ward said they have not determined a cause yet and said it’s just nature. Ward said the ridge is being monitored and they think the slide will stop itself. “It could continue to move slowly enough to where it kind of just keeps spilling a little bit of material into the quarry until it creates a toe for itself to stop and stabilize the hillside,” he said. The implication of this is that it is a rotational slip. However, the tension crack has quite a complex structure, with some evidence of the development of a graben structure. Alex Acks is a geologist who thinks J.R. Tolkien, where geology is concerned, is an excellent scholar of linguistics. I’m good with the mountain ranges on the west coast of the map. 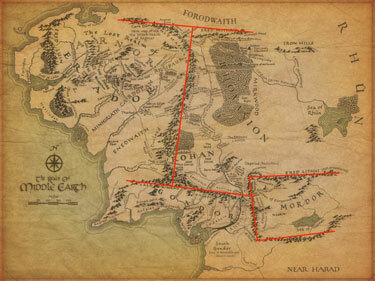 I can pretend that Eriador is like the California of Middle-earth, and it’s a nice active margin—I will just ignore that my housemate, who unlike me has completed the Silmarillion slog, has disabused me of that notion. And I can buy the placement of the Misty Mountains, again as a continent-continent collision, perhaps, even if there should be a lot more shenanigans going on then, in terms of elevation. But when you throw in the near perpendicular north and south mountain ranges? Why are there corners? Mountains don’t do corners. Tectonic plates don’t tend to collide at neat right angles, let alone in some configuration as to create a nearly perfect box of mountains in the middle of a continent. I’ve heard the reasoning before that suggests Sauron has made those mountains somehow, and I suppose right angles are a metaphor for the evil march of progress, but I don’t recall that being in the books I read. And ultimately, this feels a lot like defending the cake in the song MacArthur Park as a metaphor—okay fine, maybe it’s a metaphor…but it’s a silly metaphor that makes my geologist heart cry tears of hematite. Mount Doom, I’m more likely to give a pass to, since it’s obviously a place of great magic. But geologically, it posits a mantle plume creating a hot spot under Mordor—since that’s the only way you’re going to get a volcano away from subduction or rifting zones, and I’ve already called shenanigans on Mordor being either of those. And the hallmark of hot spot volcanism is that you get chains of volcanoes, with the youngest being the active volcano and the older ones normally quiescent. This is caused by the tectonic plates moving over the hot spot; examples include the Juan Fernández Ridge, the Tasmantid Seamount Chain, and the Hawaiian Islands (more properly called the Hawaiian-Emperor seamount chain). You’ll notice most hot spots can be found in the oceans, because there’s more ocean on Earth than land, and also the crust is thinner there, so a hot spot causes volcanism much more readily. On continents, you’re more likely to get dike swarms (e.g. : the Mackenzie dike swarm in Nunavet, Canada) where magma filters into cracks and weak spots between formations and remains underground until unroofed by erosion—or chains of massive volcanic calderas like the ones you see ranging from Yellowstone to the Valles Caldera in the US. Okay, so maybe Mount Doom is from a really young hot spot and there’s been no drift since it started. That’s the best I’ve got for you. It’s better than the nonsensical border mountains. earthstory: This is the Welcome Stranger Nugget. 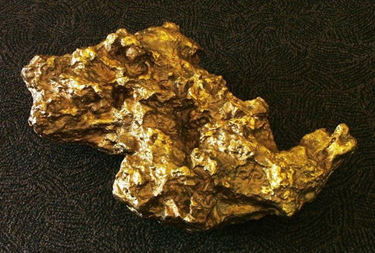 Discovered in 1869 by Cornishmen John Deason and Richard Oates in Victoria, Australia, it is the largest gold nugget ever discovered. It weighed in at 69kg (152.1 lb.) and measured 61x31cm (24×12.2″) and it was found just a couple of metres below the surface. At the time no scale was big enough to weight the nugget so it was broken into 3 pieces and each piece weighed separately. A line of blue counties stretches across the usually red-voting South which parallels curiously enough an ancient sea coast from 100 million years ago. Why? Readers can compare 2012 results using individual state maps at Politico. Newly arrived on the enemies list of the perennially concerned is California’s state rock, serpentine. A bill to oust serpentine is making its way through the California State Legislature, and geologists are flocking to the Magnesium Iron Silicate Hydroxide’s defense. The bill to defrock the rock — which recently passed the full State Senate and is awaiting a vote in the Assembly — is sponsored by Senator Gloria Romero, a Los Angeles Democrat, with the strong support of the Asbestos Disease Awareness Organization. Declaring that serpentine “has known health effects,” the bill would leave California — one of roughly half the states in the nation with an official rock or mineral — without an official rock. (According to the bill, California was the first state, in 1965, to name an official rock.) Asbestos occurs naturally in many minerals, and indeed some serpentine rocks do serve as a host for chrysotile, a form of asbestos. But geologists say chrysotile is less harmful than some other forms of asbestos, and would be a danger — like scores of other rocks — only if a person were to breathe its dust repeatedly. Dr. Ross and other opponents of the bill are concerned that removing serpentine, which is occasionally used in jewelry, as the state’s rock would demonize it and thus inspire litigation against museums, property owners and other sites where the rocks sit; they cite the inclusion of a letter of support from the Consumer Attorneys of California with the bill as evidence. Gov. Arnold Schwarzenegger has indicated no position. We were unable to interview Virginia’s state rock, as none has ever been appointed. Virginia’s state fossil Chesapecten jeffersonius, being naturally conservative, expressed mild chagrin at California’s radical politics, but was happy that California is so far away. Can the Alleged Consensus Actually be Wrong? ScienceFair reads a new journal article in Nature Geoscience and begins to wonder. During the warming period, known as the “Palaeocene-Eocene thermal maximum” (PETM), for unknown reasons, the amount of carbon in Earth’s atmosphere rose rapidly. 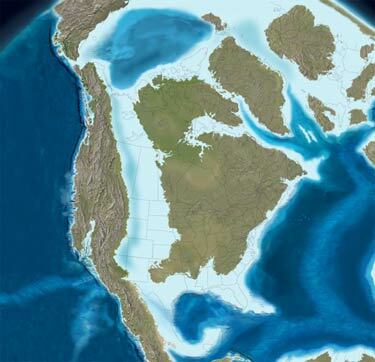 This makes the PETM one of the best ancient climate analogues for present-day Earth. As the levels of carbon increased, global surface temperatures also rose dramatically during the PETM. Average temperatures worldwide rose by around 13 degrees in the relatively short geological span of about 10,000 years. The Palaeocene–Eocene Thermal Maximum (about 55 Myr ago) represents a possible analogue for the future and thus may provide insight into climate system sensitivity and feedbacks. The key feature of this event is the release of a large mass of 13C-depleted carbon into the carbon reservoirs at the Earth’s surface, although the source remains an open issue. Concurrently, global surface temperatures rose by 5–9 °C within a few thousand years. Here we use published palaeorecords of deep-sea carbonate dissolution, and stable carbon isotope composition, along with a carbon cycle model to constrain the initial carbon pulse to a magnitude of 3,000 Pg C or less, with an isotopic composition lighter than minus50permil. As a result, atmospheric carbon dioxide concentrations increased during the main event by less than about 70% compared with pre-event levels. At accepted values for the climate sensitivity to a doubling of the atmospheric CO2 concentration1, this rise in CO2 can explain only between 1 and 3.5 °C of the warming inferred from proxy records. We conclude that in addition to direct CO2 forcing, other processes and/or feedbacks that are hitherto unknown must have caused a substantial portion of the warming during the Palaeocene–Eocene Thermal Maximum. Once these processes have been identified, their potential effect on future climate change needs to be taken into account. Just by good luck, the International Space Station happened to be passing over Sarychev Peak on Matua Island in the Kuril Islands on June 12th at the perfect time to allow astronauts to photograph its volcanic eruption. You won’t need to worry about Global Warming if the Yellowstone Caldera decides to erupt. Hundreds of earthquakes have hit Yellowstone National Park, raising fears of a more powerful volcanic eruption. The earthquake swarm, the biggest in more than 20 years, is being closely monitored by scientists and emergency authorities. The series of small quakes included three last Friday which measured stronger than magnitude 3.0. The strongest since this latest swarm of quakes began on December 27 was 3.9. No damage has yet been reported but scientists say this level of activity – there have been more than 500 tremors in the last week – is highly unusual. “The earthquake sequence is the most intense in this area for some years,” said the Yellowstone Volcano Observatory. Some of the larger earthquakes have been felt by park employees and guests, according to the observatory. The swarm is occurring beneath the northern part of Yellowstone Lake in the park. Yellowstone sits on the caldera of an ancient supervolcano and continuing geothermal activity can be seen in the picturesque geysers and steam holes, such as Old Faithful. Professor Robert B. Smith, a geophysicist at the University of Utah and one of the leading experts on earthquake and volcanic activity at Yellowstone, said that the swarm was significant. The last full-scale explosion of the Yellowstone Supervolcano, the Lava Creek eruption which happened approximately 640,000 years ago, ejected about 240 cubic miles of rock and dust into the sky. Geologists have been closely monitoring the rise and fall of the Yellowstone Plateau as an indication of changes in magma chamber pressure. The Yellowstone caldera floor has risen recently – almost 3in per year for the past three years – a rate more than three times greater than ever observed since such measurements began in 1923. From mid-summer 2004 through to mid-summer 2008, the land surface within the caldera moved upwards as much as 8in at the White Lake GPS station. 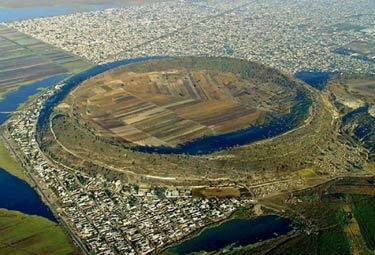 The last major earthquake swarm was in 1985 and lasted three months. Recent carbon dating tests of the Thera Eruption provides a date contradicting the established chronological sequence of Egyptian and Cypriot pottery found on the island. On the other hand, as the two researchers pointed out, archaeological evidence linked with the Historical Dating of Ancient Egypt indicate that the Thera eruption must have occurred after the start of the New Kingdom in Egypt in 1530 BC. The two researchers said their find (olive tree) represents a serious contradiction between the results of the scientific method (radiocarbon dating) and scholarly work in the humanities (history-archaeology), with both sides holding strong arguments to support their conclusions. The radiocarbon dating places the cataclysmic eruption, blamed for heralding the end to the Minoan civilisation, a century earlier than previous scientific finds. The eruption and the subsequent devastation throughout the Aegean has long piqued researchers’ interest, with many scholars pointing to Plato’s reference of the “lost continent of Atlantis” on vague memories, passed down generation to generation in the ancient Greek world, of the catastrophe. the Archives of Never Yet Melted in the 'Geology' Category.